Jane Austen was born in 1775 at Steventon in Hampshire of middle-class parents. George Austen, her father, was an Oxford graduate without personal fortune. He supplemented his income as rector of Steventon by taking pupils, alongside whom he would teach his own children. As the seventh child in the family, Jane was educated in part by her older brothers, two of whom were to become clergymen, while two others rose to the rank of admiral in the Navy, and yet another, Edward, was through adoption made a member of the landed gentry. 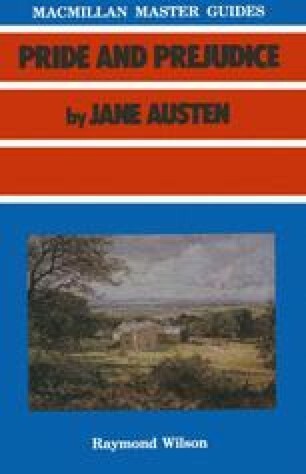 The wide range of activities within the Austen family — country walks, charades, reading, writing stories and family plays — constituted a rich informal education for the children, and stimulated Jane Austen’s ambition to become a novelist. Her formal education at boarding schools in Oxford, Southampton and Reading was certainly brief and relatively unimportant.